Yes! We offer Children’s Ministry from three years old to high school from 10:00-11:00. We believe church should be something kids look forward to attending and hate to leave. 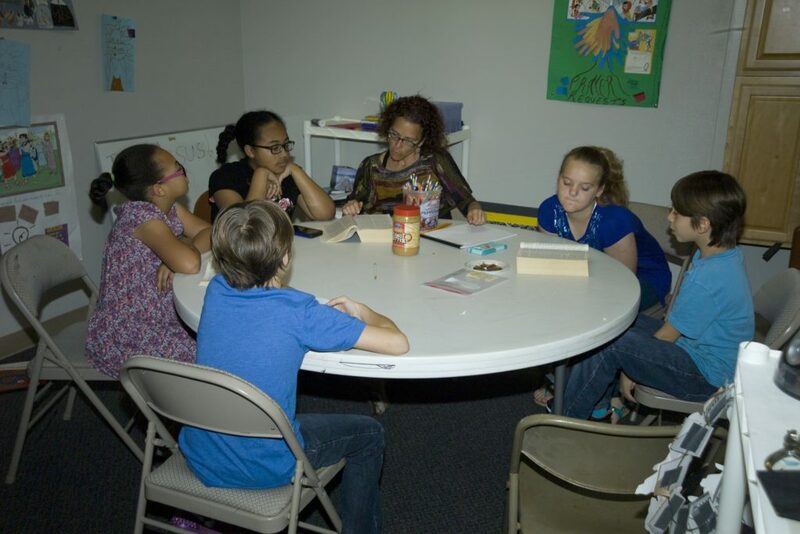 Each class offers interactive and fun environments for children and youth to learn more about faith in God. Nursery available for birth through three years old from 9:00-noon. Each week, we do receive an offering. However, if you’re a visitor, there is no expectation for you to help “support the family.” This is the time when those of us who call Covenant home give back to God. We invite you to place a visitor card (from the seat back) in the offering plate as your gift to us. Whatever makes you feel most comfortable; jeans, shorts, slacks, suits or skirts. You will find members dressed from casual to their Sunday best. Each service features music, preaching, and the reading of scripture. Our 9:00 service is more traditional with old familiar hymns accompanied by piano. Our 11:00 service features more contemporary worship with the Covenant band. There is also a Children’s Sermon during the 11:00 service. Each service lasts one hour. We participate in an open Communion during both services the last Sunday of the month.